As a brief aside, my apologies to all readers for the word verification system I’ve placed here on the blog. I’ve been getting far too many spam comments lately, and would like to put a right stop to it. 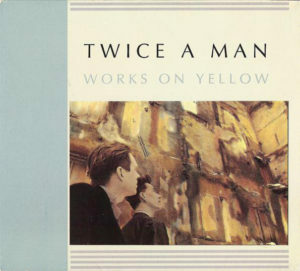 Yet another icy piece of Swedish minimal/coldwave for you, as this post features another solid Twice a Man record. We’ve already covered this glorious band several times over, so click here and here for more info and music. 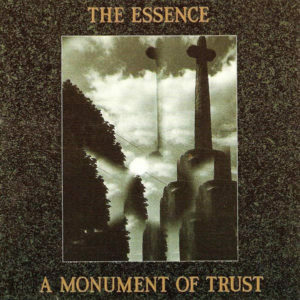 Otherwise, this particular LP sees the band experimenting with more atmospheric and ambient textures, all while keeping their signature synth-perfection intact. This particular record also features “Girl,” one of the band’s best known tunes, also featured on the Retronics compilation. Get that here, if you’re in need. For my second post of the day, I’ve tracked down a request from a few weeks ago. 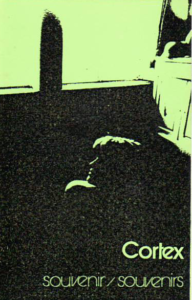 This particular post contains a rare cassette from Belgian experimental band Cortex, collecting their output from 1975-1982. The cassette was released on two different labels in 1984, and essentially contains electronic experiments with French poetry spoken over top. Cortex is also one of many projects featuring contributions from experimental mastermind Alain Neffe, also active in Bene Gesserit, Human Flesh, and Pseudo Code. Vocalist Nadine Bal also worked with Neffe in Bene Gesserit, who formed after the Cortex project came to its end. Though it’s not mentioned on either discogs listing, my particular rip of the cassette features an extra, unnamed track before the final 20+ minute piece. Not sure if it belongs there or not, but I’ve included it for your listening pleasure. 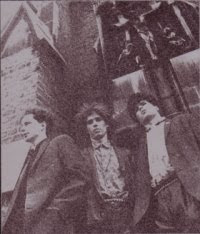 As for the remainder of their discography, Cortex have contributed many more tracks to various compilations over their tenure, most with similar alphabetical titles. Haven’t been able to track ’em down, but I will post them if I ever do! Here’s a particularly dark gem I stumbled upon in my travels. 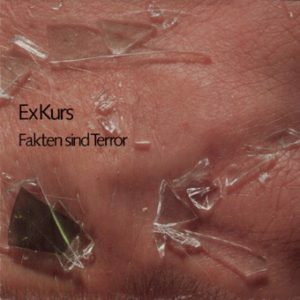 This post contains the lone LP from German post-punk band ExKurs, released in 1981. Though this is the band’s lone release, members of ExKurs have a rich history in the vast world of early 1980s synth. 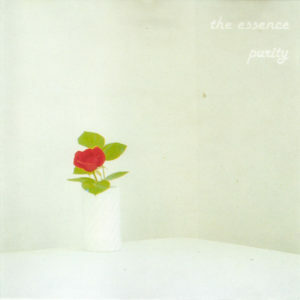 Michael Hirsch was previously active in Alexander Hacke’s P1/e, while Allan Rae Smith also released a record with Modern Entertainment, his previous punk outfit. Otherwise, the sounds on this LP feature post-punk rhythms and buzzing electronics, chock full of energy. A true New Deutsch Welle gem, the opening track is a treat in and of itself. Let’s get to the details, shall we? The band also have a website, consisting of a disography and brief history, but it’s entirely in German. If you’re up to snuff on the language, feel free to click HERE and check it out. Meanwhile, to make up for my absence, I have two more posts in store for today, as time allows, so stay tuned for a few requests!